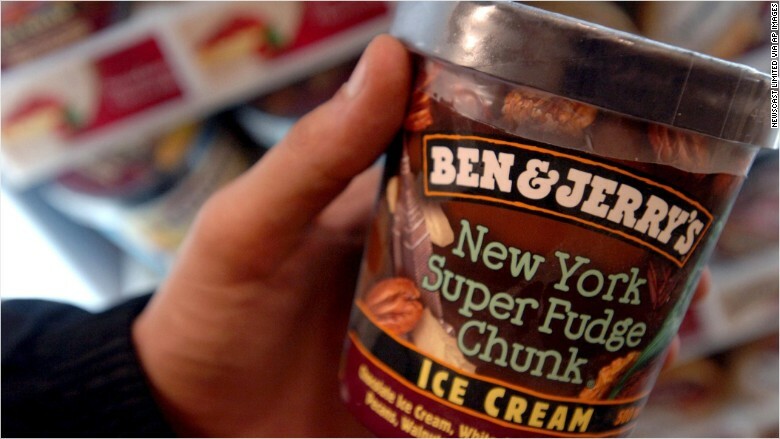 Ben & Jerry's says it will be the first big ice cream maker to offer a dairy-free alternative. Can't stomach milk? Ben and Jerry's will soon have an ice cream for you. The company will launch a new dairy-free range of tubs early next year, a spokeswoman said Wednesday. The plan was first revealed by co-founder Jerry Greenfield in an interview with U.K. newspaper Metro last week. The new ice cream would be made with a base of almond or coconut milk rather than cows' milk, he was quoted as saying. It follows an online petition asking for dairy-free options that was signed by more than 27,000 people. The manufacturer prides itself on responding to customer wishes. It has already released three flavors of ice cream that were suggested by fans and proved to be enormous hits: Cookie Dough, Chunky Monkey and Cherry Garcia. "When it comes to a non-dairy alternative to ice cream, we think our fans are onto something there, too," Ben and Jerry's said in a statement. The company's "Flavor Gurus" are still working on the non-dairy flavors, which will go on sale in the U.S. in April 2016, followed shortly by the U.K.